Inspired by the Swedish celebration of St. Lucia’s day, the longest night of the year, this linen provides a refined, luxurious backdrop to any long night’s festival. A swirling pattern of vintage-gold garland, Antique Lucia celebrates your event with glimmers of gold on luminescent ivory. 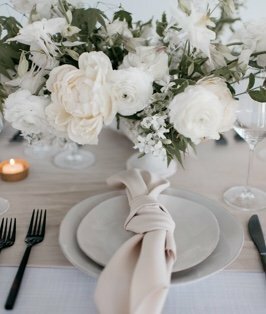 Bringing light to the longest night of the year, this linen is the quintessence of sunlight and provides a radiant foundation for your tablescape.